I am happy to share that Hugo & I did a presentation at the 15th Annual Bay Area Conservation Biology Symposium at University of California- Davis focused on the disconnect between conservation and Latino communities in the United States. The symposium was student run and most of the presenters were graduate students. Around 50 people attended our presentation. I felt that each person in the room was deeply involved in their field because everyone asked questions and seemed eager to exchange information in between the presentations. Our presentation went very well! We made it through our presentation in the allotted time and we did get some questions afterwards about how/why we were in this internship program. We met great people and received good information from each presentation. Overall I appreciate the opportunity that EFTA gave us to attend the symposium. Here I am all dressed up for my professional presentation at the 15th Annual Bay Area Conservation Biology Symposium. 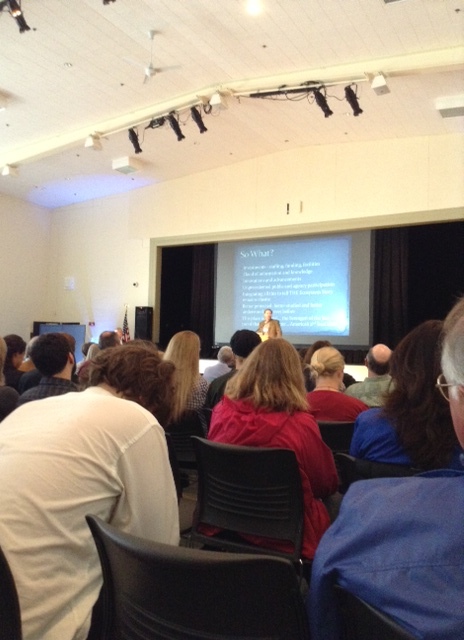 Full house at Current Symposium- Monterey, CA. 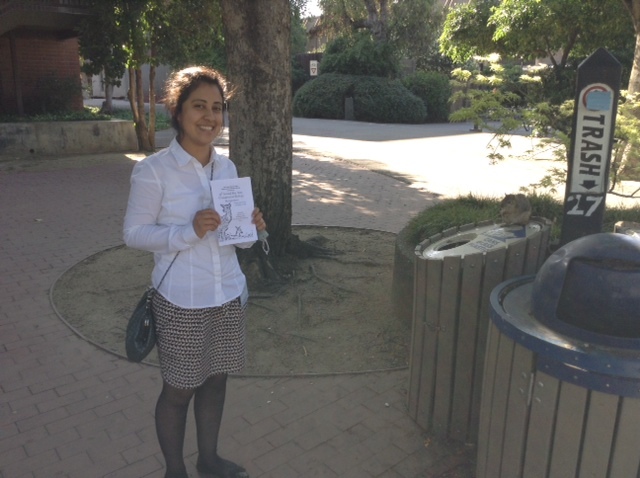 I attended another symposium last week at California State University -Monterey Bay. The Marine Sanctuary’s Current Symposium in Monterey focused on oceans. It had great talks about animal gps monitoring, the California Coastal National Monument, and about whale migration routes changing due to global climate change. There was a great turn out and it was nice to see familiar faces there such as Elkhorn Slough staffers. We will continue with our monitoring and surveying for a few more weeks. 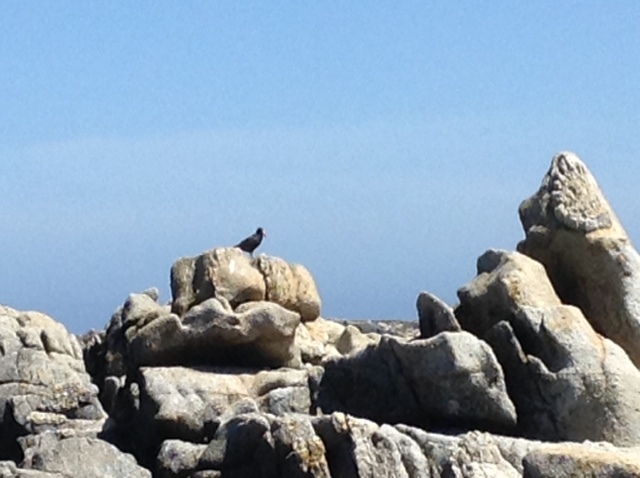 We are still not seeing any Black Oystercatchers lay eggs. I have been climbing the rocky shoreline trying to see if there are any nests. Even though there are no eggs yet, we are seeing some flirtatious behavior between the Black Oystercatcher pairs lately. Hopefully we will be seeing some activity soon. On the other hand, we are seeing less and less shorebirds at our four sites around Elkhorn Slough. At one point I only surveyed one shorebird at South Marsh. I imagine our shorebirds are moving on to the intern sites further north from us. Perhaps Stephanie Loredo and Lesly will survey these same shorebirds.